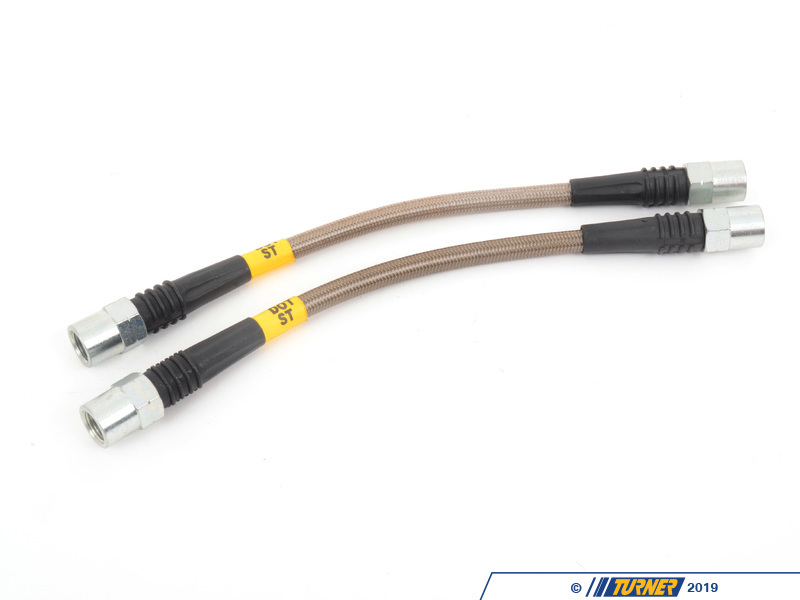 These braided stainless brake steel lines improve the performance and safety of your BMW's braking system. 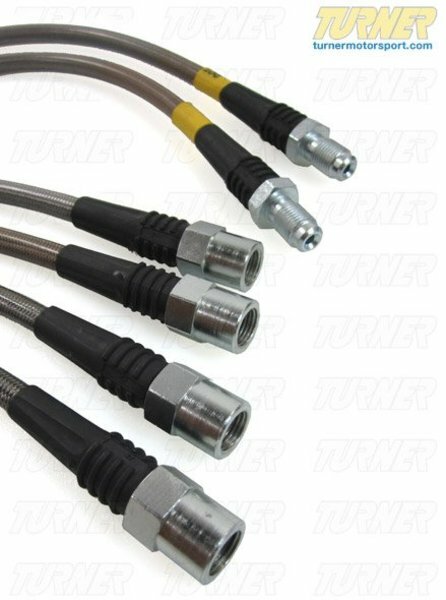 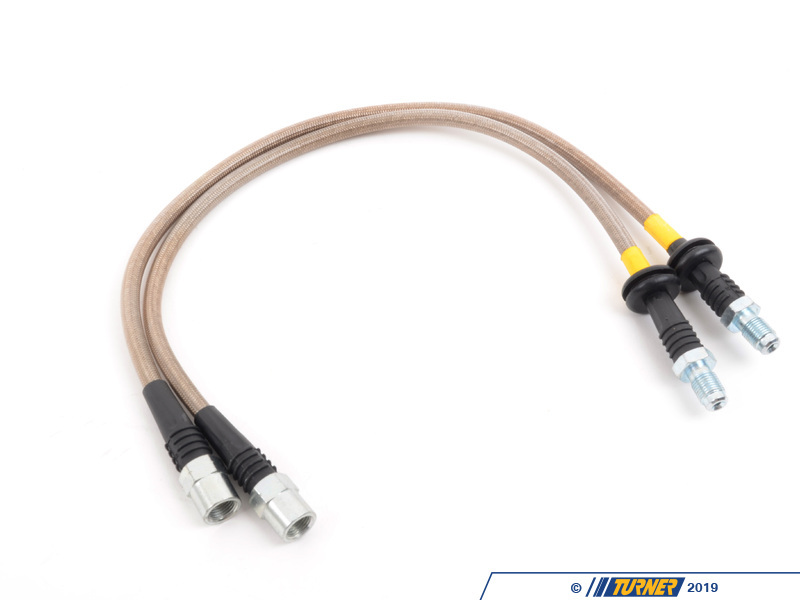 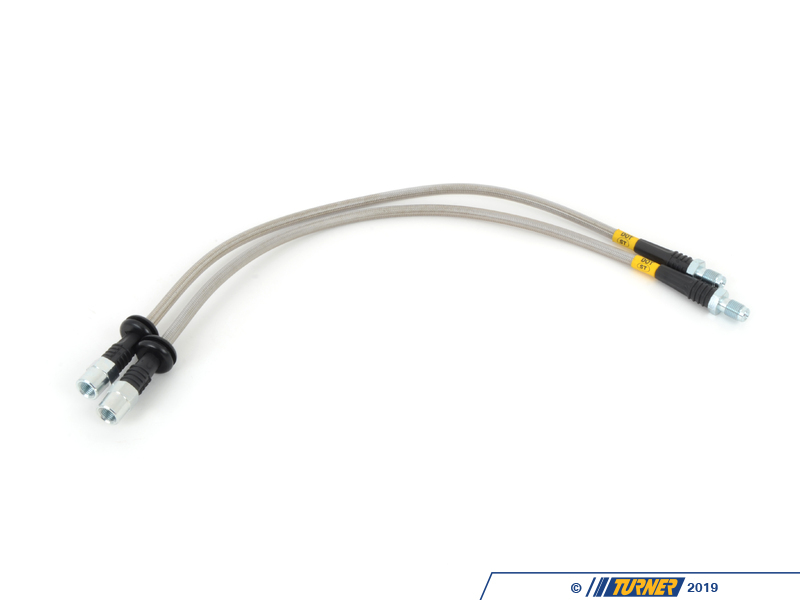 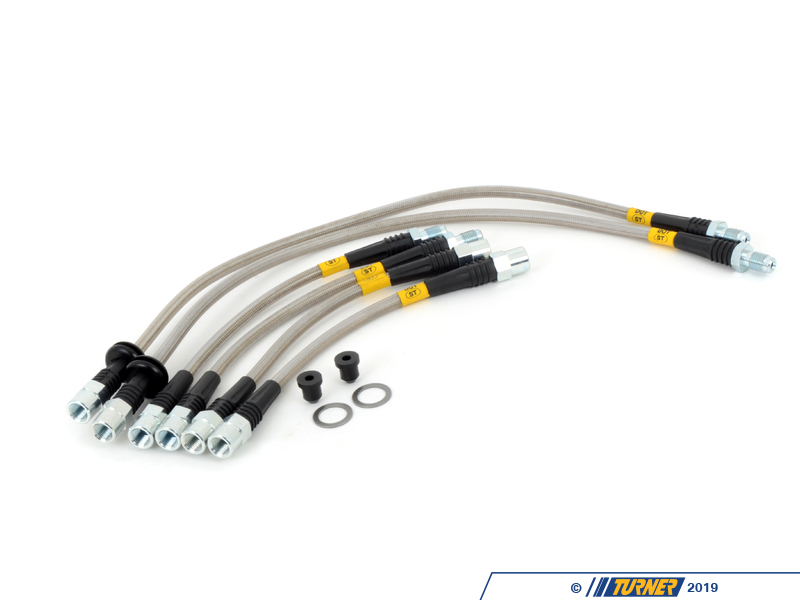 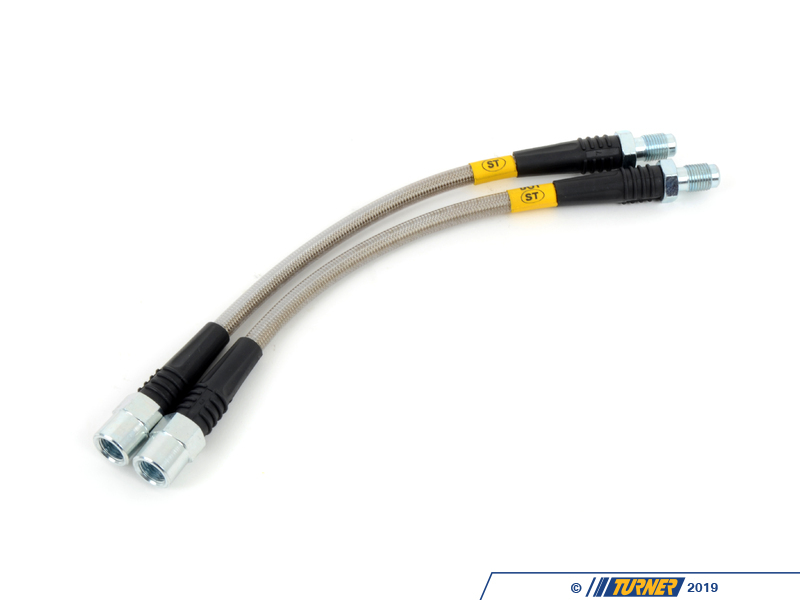 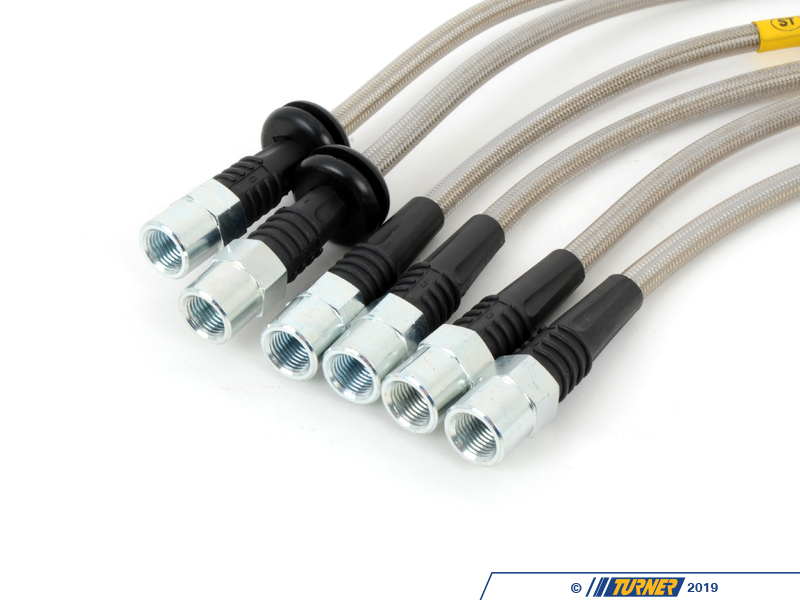 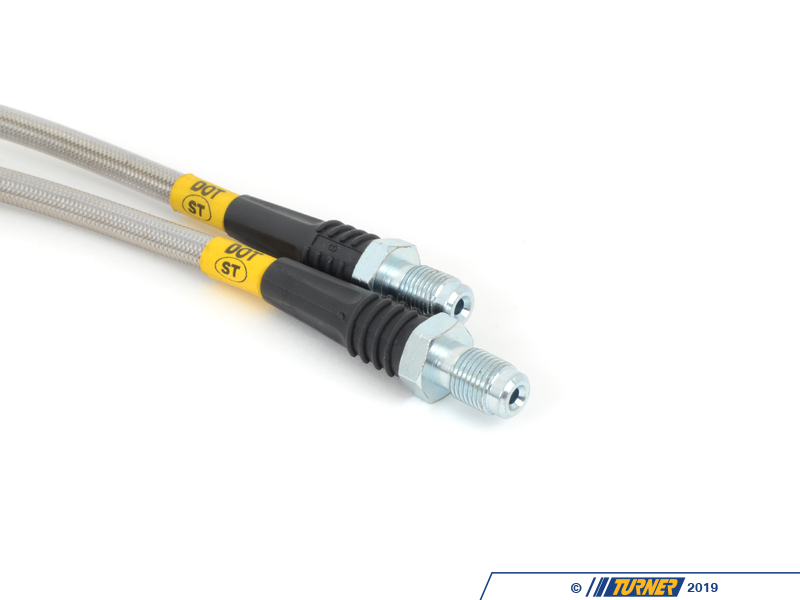 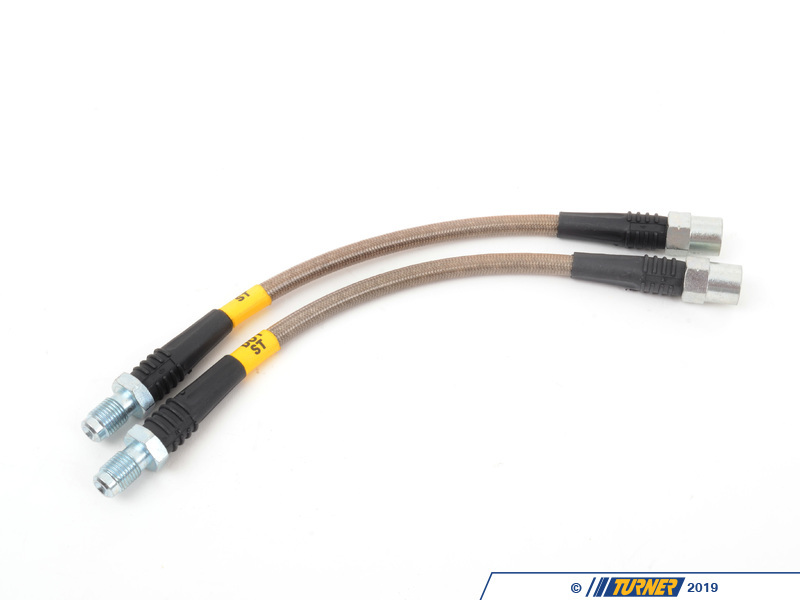 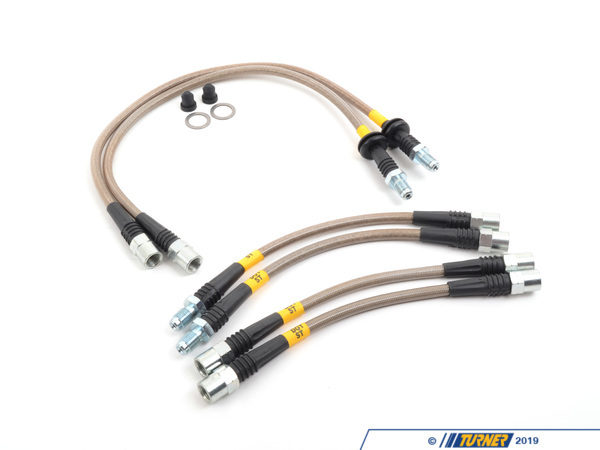 Tthese braided stainless brake steel lines improve the performance and safety of your BMW's braking system. 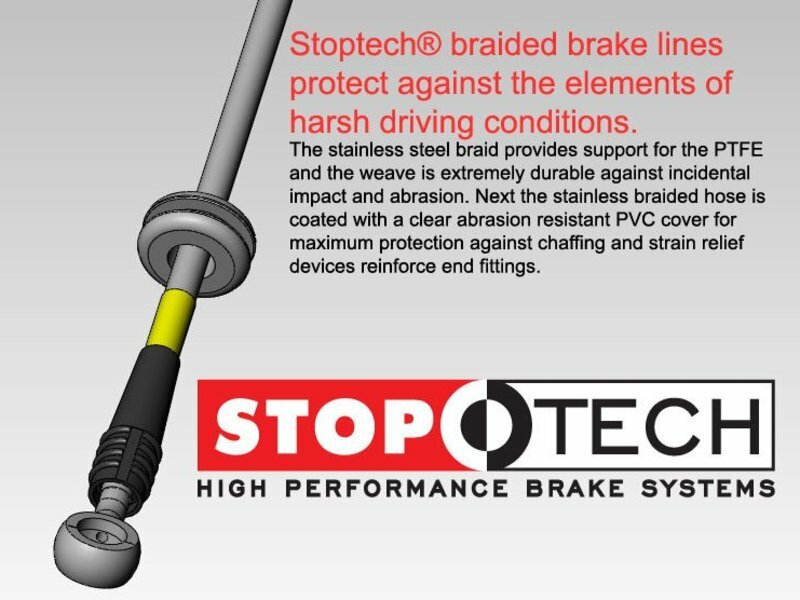 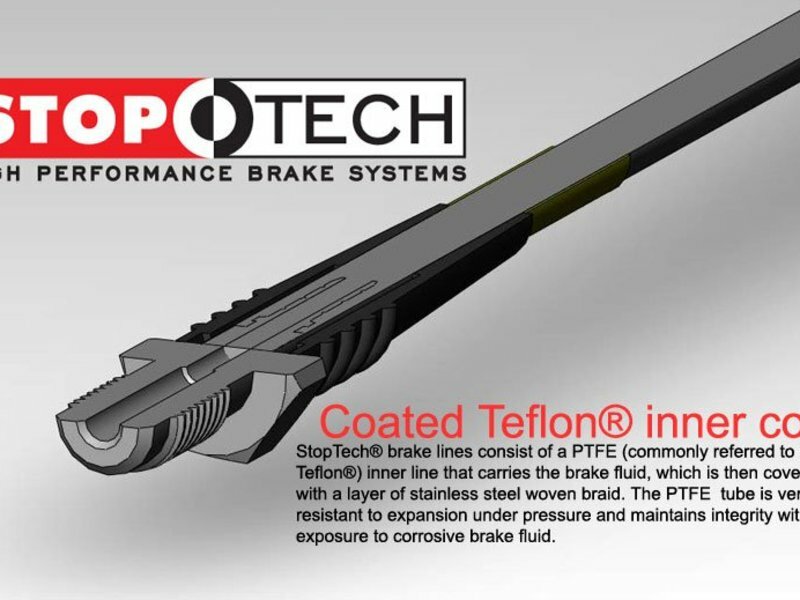 They are DOT approved, coated to protect the braided stainless steel from abrasion or road-related damage and offer tremendous quality at a phenomenal price. 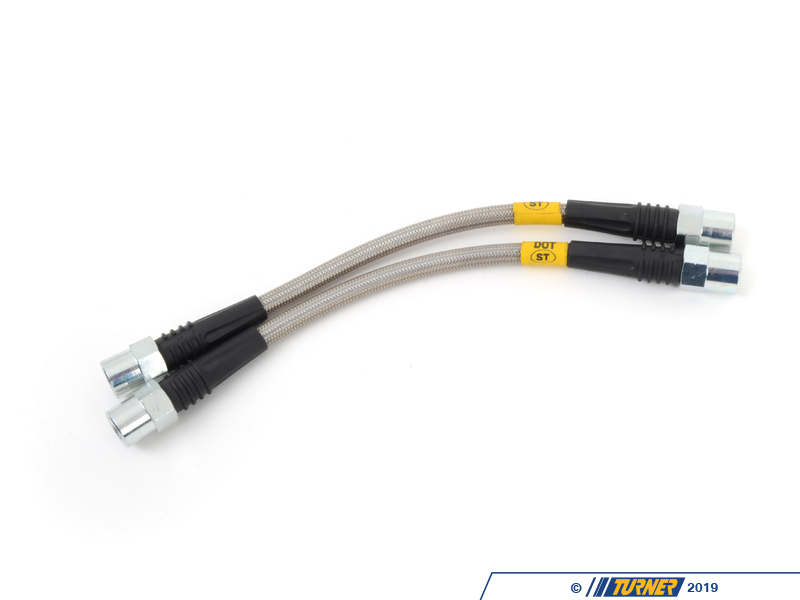 These lines fit all 1982-1988 BMW 5 Series (E28) and M5. 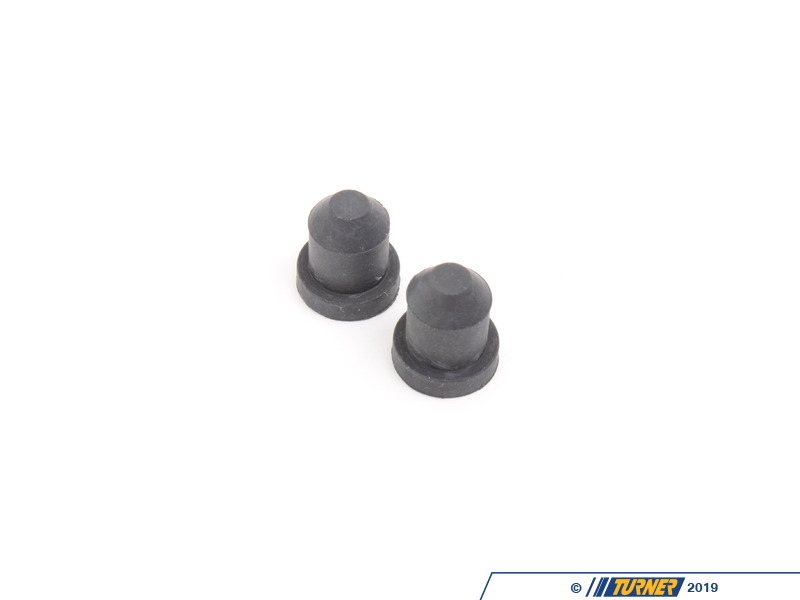 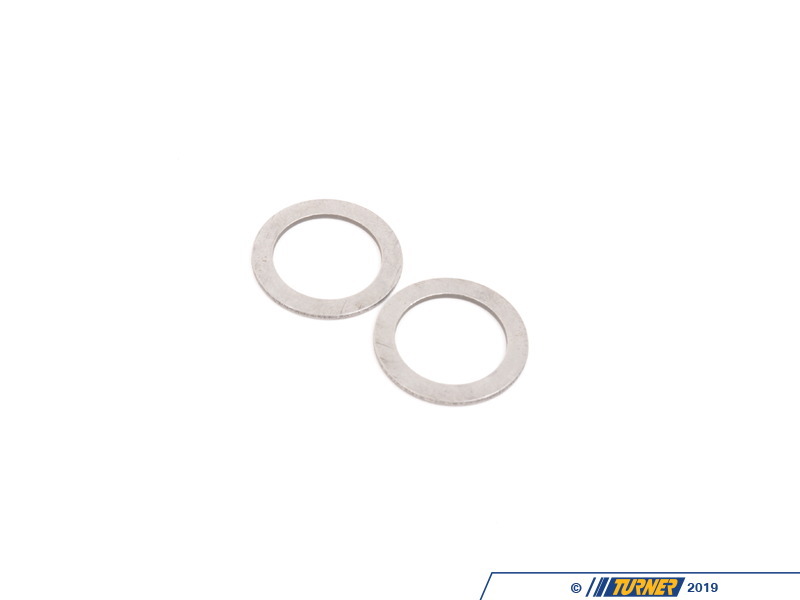 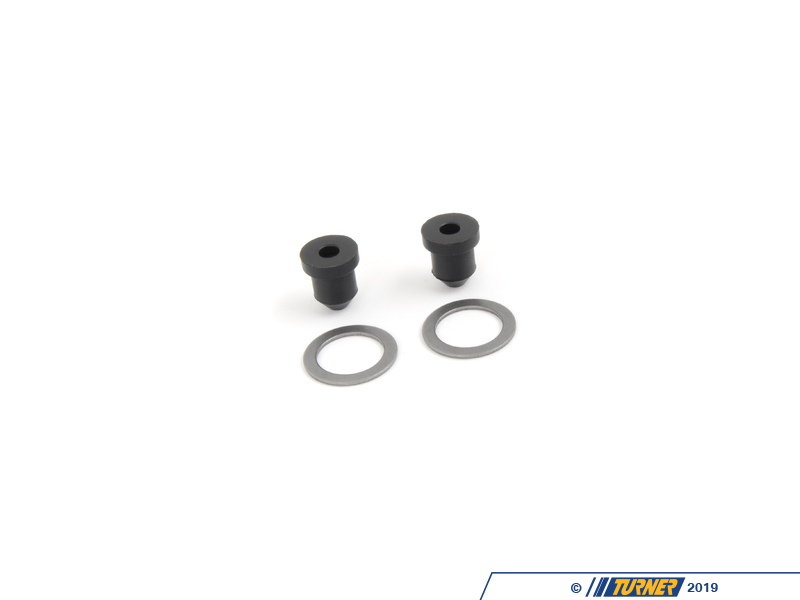 These may be used on all 533i, 528e, 535i, 535is and M5 that are a model year 1982, 1983, 1984, 1985, 1986, 1987, or 1988.